Home >> Our Providers >> Alatheia Stickler, M.D. 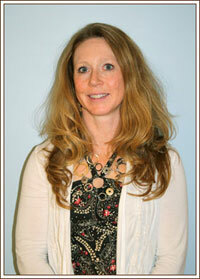 Dr. Alatheia Stickler has been a resident of West Virginia for over 25 years, though originally from South Carolina. She received a bachelor degree in Biology and Psychology from Concord College, prior to attending medical school at West Virginia University. After completing a residency in Pediatrics through West Virginia University and Charleston Area Medical Center in 1998, she joined South Charleston Pediatrics, and has enjoyed practicing general pediatrics in the Charleston area since. Some of the topics she has special interest in include asthma, allergies and eczema, child and adolescent weight management, child development and autistic spectrum disorder. Dr. Stickler takes pleasure in spending free time with her family, being involved in projects through her church, as well as hobbies such as reading, running, bicycling and marshal arts. Dr. Stickler has three terrific boys.